Eagle Eyes clip on sunglasses with hard leatherette carrying case. 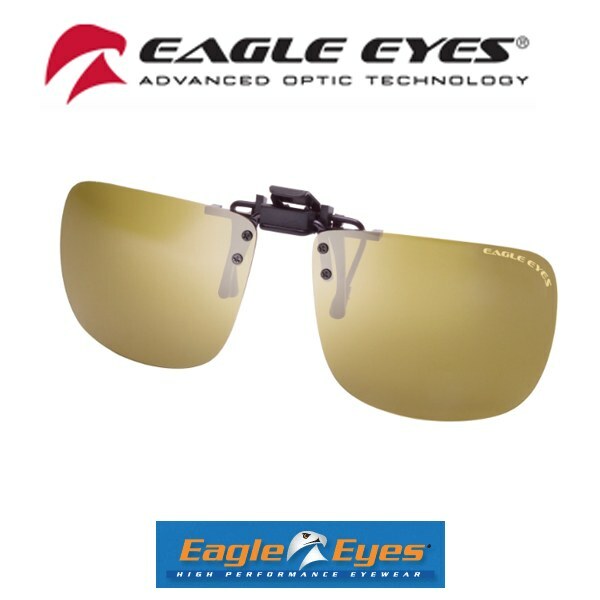 Eagle Eyes Clip-On sunglasses give prescription wearers the same clearer, brighter, and vivid colors as our other Eagle Eyes styles. As seen on TV, the Eagle Eyes store easily in the included hard case. You will see better and feel better than you ever thought possible. product way too small for average glasses.